Aequitas Legal is a full service firm which is established as a top tier service provider of legal services in Malta. 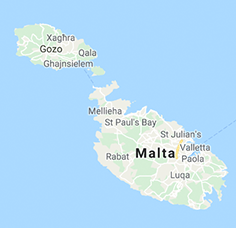 Aequitas Legal operates from its offices in Valletta, Malta’s capital and employs a core number of legal advisors specializing in different fields of law and backed up by a sound administrative set-up. By combining their range of skills, the Firm is able to offer the delivery of legal solutions in a truly service-oriented context. Furthermore, the Firm retains the services of a number of external consultants. At Aequitas, we are geared towards providing client-oriented solutions.